This time I tagged along for Mr. B's company 5 days trips to Myanmar. We spent most of the day flying internationally and domestically until we reached Mandalay, Myanmar. While on the transit, we visited the 'Pink Elephant' and upon reaching Mandalay in the late evening, we had our first taste of Myanmar food. 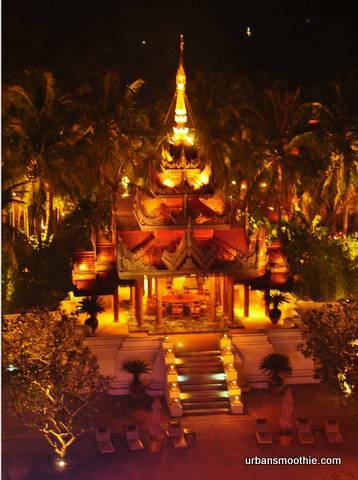 The most eye-opening moment of the day was when we step into the Mandalay Hill Resort. The night view from our window is simply breath-taking. 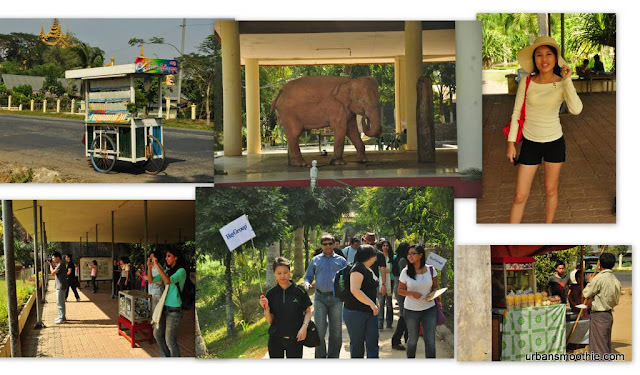 Read more on our Day 1 journey to Mandalay, Myanmar. This was Mr. B first company vacation trip, instead of the usual business trip. I got to tag along by forking out another RM2K to cover my own expenses. The price was steep considering the location was just Myanmar, but I think it worth every penny for getting to spend time together. 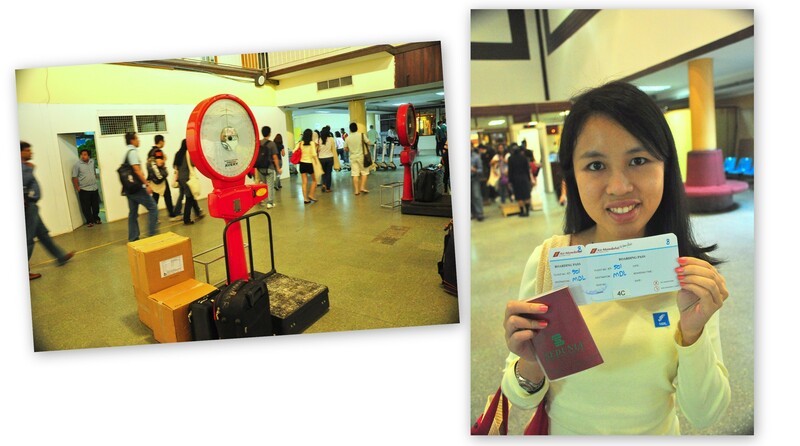 We met our tour leader, Ms. Marcia Teng at the KLIA with the little Hay group flag. This was the first we joined a tour group following a flag. Our group consist of 21 people including yours truly. I'm feeling a little excited with all the buzz. We flew to Yangon via MAS and got the enjoy some really nice in-flight food, which include a yummy Magnum stick. There was a colleague sitting next to us who refuse the ice-cream, which I find it totally unacceptable. Once we reach Yangon International Airport, we were due to take another domestic flight to reach Mandalay in a few hours time. Here, we met our local tour guide, Ms. May who is a Burmese, not Myanmese. During the transition from the international to domestic airport, we made a pit-stop to visit the 'Pink Elephant' to fill up the time. The albino elephant was inside a monastery just 10 minutes away from the airport. We saw two of the elephant that doesn't appeared pink to me being chained up for visitor to view. The scene is quite sad and if you are planning your itinerary in Yangon, just skip this. The domestic flight ticket looked like a bus ticket and doesn't have our name printed on it. The embarrassing moment happened when the plane descended and while I was mentally ready to disembark, we were told that we have yet to reach Mandalay yet. Apparently the plane also worked like a bus, by making pit stop and picking up other passenger to continue the journey. I'm lucky not to have drop off in 'God's know where'. The Mandalay airport was situated in the middle of nowhere. It took hours to reach the restaurant for our dinner. By this time, I'm knocked out from all the travelling and transit and we haven't even check-in to the hotel yet. This the classic experience by following a tour group. 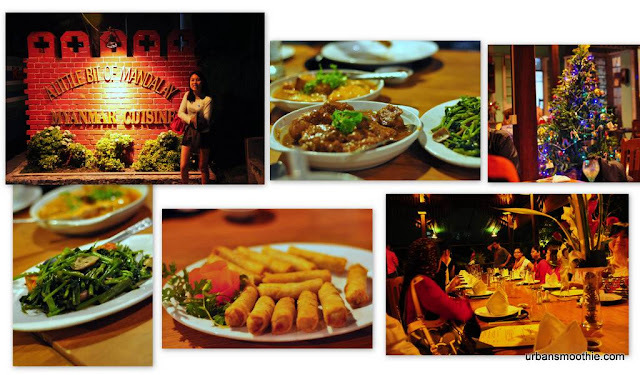 We had our dinner at a restaurant called 'A Little Bit of Mandalay' for some Myanmar cuisine. The food is a little bland for Malaysian taste bud, but I'm too hungry to care. After the dinner, we checked into our 5 star hotel, the Mandalay Hill Resort. The hotel is totally mag, and the best I've stayed so far. 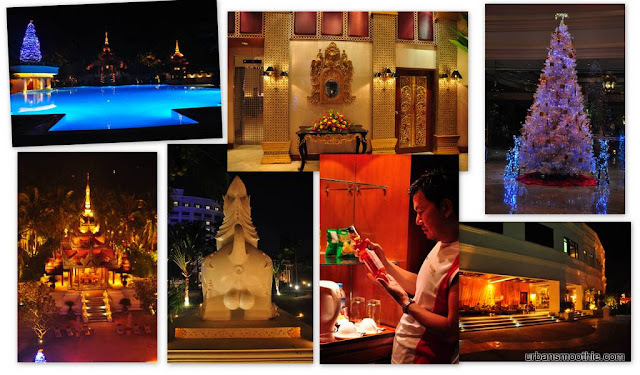 The pool is illuminated with colourful lights during the night and from the room, we can enjoy the Mandalay hill view. Is a totally breathtaking view during both night and day. The weather and temperature were a little chill as well. Once we settled in the room, we decided to change and take a dip in the pool, but the water temperature is too cold for me, so I chickened out and decided to just lounge around. While, Mr. B took the plunge and swam in the freezing the pool for a short time. Is not a wonder why the pool was empty while we are there.